Since the release of the new Overstreet Price Guide (#44), which came out this past summer, I’ve been poring through the values of key first appearance issues. As many collectors know, first appearance issues are highly collectible and they can be immensely valuable. In this year’s new Overstreet guide, I noticed that the price spread has widened between the first brief appearance and the first full appearance issues of Wolverine. 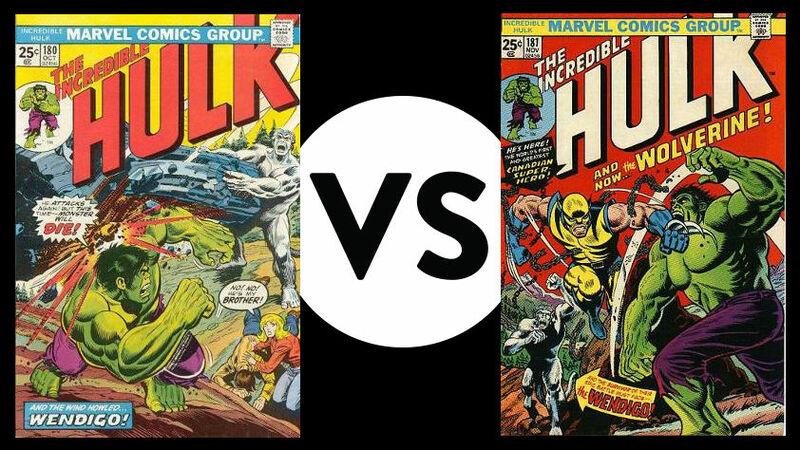 The value of a near mint minus (9.2) copy of the Incredible Hulk # 180 now stands at $450 while a near mint minus (9.2) copy of the Incredible Hulk # 181 (the first full appearance of Wolverine) now stands at $2000. Certainly, these two issues are the most famous examples of a comic book character’s first brief appearance and first full appearance. If we only look at the Wolverine example, we would assume that the value of a character’s first full appearance always trumps the value of the first brief appearance. It would stand to reason that a comic book reader gets more of the character in the first full appearance issue and this would increase more buying demand (and value) for the first full appearance issue. However, as I sifted through and compared first brief appearance and first full appearance values in this year’s guide, I found that this wasn’t always the case. Here are examples of comics showing both cases: examples where the first brief appearance issue is more valuable, and examples where the first full appearance issue is the more valuable of the two. When Jack Kirby started working at DC in 1970, he didn’t want to take away someone else’s job, so he started writing and drawing on Superman’s Pal Jimmy Olsen #133, a title that wasn’t drawn by any other artist at the time. Kirby’s next issue (Jimmy Olsen #134) featured the debut of Darkseid, who only appears in one panel. In the past few years, a near mint copy of Jimmy Olsen #134 has surged in value and surpassed the value of Forever People #1, which features Darkseid’s first full appearance and third overall appearance. A near mint minus (9.2) copy of Jimmy Olsen #134 now fetches $500, well above the $110 for a 9.2 value of Forever People #1. While Jimmy Olsen #134 can be considered the definitive first issue, I find this issue’s Darkseid appearance to be unsatisfying because the lord of Apokolips only appears on a video screen in one panel. I really don’t get a good sense of Darkseid’s character. In contrast, Forever People #1 portrays Darkseid in rich detail over the span of a few pages and he is at his most wicked as he tries to kill Beautiful Dreamer. Perhaps Jimmy Olsen #134 has a lower print run number than Forever People #1 or maybe collectors really do prefer Jimmy Olsen #134 over Forever People #1, but in any case, Jimmy Olsen #134 is now worth almost five times the value of Forever People #1. As we move into the second example of a first brief appearance issue being more valuable than the first full appearance, we encounter Doomsday, who is another villain that is an integral part of Superman’s world. Doomsday’s first brief appearance was in Superman: the Man of Steel #17, which has jumped in value in this year’s price guide. A near mint minus 9.2 copy of Man of Steel #17 (first printing) now fetches $50 while a 9.2 copy of Doomsday’s first full appearance (Man of Steel #18, first printing) has increased less in value and is sitting at $30. Print run numbers are a big factor affecting these two issues, as the first printing of issue #17 seem to be in shorter supply than the first printing of #18, but the fifth printing of #18 is in even shorter supply and sells on eBay for more than the first printings of # 17 and #18, but this is still not reflected in the Overstreet Price Guide. Story-wise, neither of these issues explain much about Doomsday except to show that Doomsday is good at destroying things and to serve as a prologue to the “Death of Superman”. Lets look at some Marvel issues for examples of first full appearance issues being worth more than the first brief appearance. Fan interest in the Marvel villain Ultron has steadily increased over the past few years, especially with fans anticipating next year’s release of the second Avengers movie. Like a few other Marvel villains, Ultron’s first appearance occurs in stages. He first appears briefly as the Crimson Cowl in Avengers #54, which is currently worth $200 for a 9.2 copy, but is selling for far more online and at comic book conventions. He is then revealed to be Ultron in a full appearance in Avengers #55, which the Overstreet guide prices at $500 for a near mint minus copy, but again sells for far more due to the current interest in the movie. I think these debut issues of Ultron had decent stories, but Ultron’s origin story in Avengers #58, which includes the Vision’s origin, is even more interesting. As we fast forward in time from Ultron’s debut in the Silver Age of Marvel comics to modern times, we find a number of X-Men characters who had a first brief appearance preceding a full appearance: examples include Cable, Bishop, and Gambit. For our example, let’s look at Gambit, who had his first cameo (brief) appearance in the Uncanny X-men Annual #14. In this Annual issue, Gambit doesn’t say or do very much so it really is a cameo appearance. Next, he fully appears in Uncanny X-men #266 where he plays an important part in the story by helping Storm. It is Uncanny X-men #266 that’s worth more because a near mint minus copy of Uncanny X-men #266 is now worth $75. A first brief appearance of a comic book character is often a “try out” to see if the character can succeed in future stories. In the comic book world, it is sometimes unclear if a character’s brief appearance was a “try-outs” to see if he would merit future appearances or if his first brief appearance was only meant to move forward a storyline. In any event, Gambit proved to be a useful enough character that he earned a first full appearance and a cover appearance in Uncanny X-Men #266, and he appeared again in issue #267. His later appearance in the tv series X-Men: The Animated Series also cemented his popularity among X-Men fans. In most cases, it is the first full appearance issue that follows the first brief appearance issue, and generally it is the first full appearance issue that is worth more than the first brief appearance issue. I provided two DC examples of a first brief appearance being worth more than the first full appearance, and it looks like fan interest and print run size were factors that affected the value of these Darkseid and Doomsday issues. On the Marvel side of things, I noticed the case of Adam Warlock where his first brief appearance issue (Fantastic Four #67) is worth more than his first full appearance issue (The Mighty Thor #165). The current Overstreet guide also shows that the first brief appearance of Bishop (Uncanny X-Men #282) is now worth more than his first full appearance issue (Uncanny X-Men #283), undoubtedly affected by the recent Days of Future Past movie. I would love to hear of other examples where the first brief appearance issue is worth more than the first full appearance issue, or if you feel that a first full appearance issue has become overvalued. 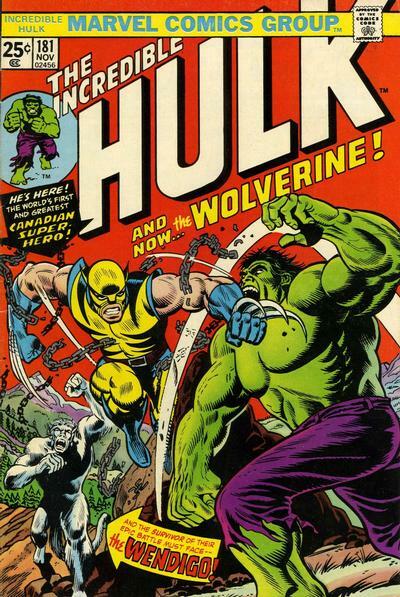 Looking back at Hulk #180 and 181, I think that #181 (the first full appearance issue of the Wolverine) is fairly valued because of Wolverine’s popularity and importance, but #180 is looking undervalued and relatively “cheap” in comparison. 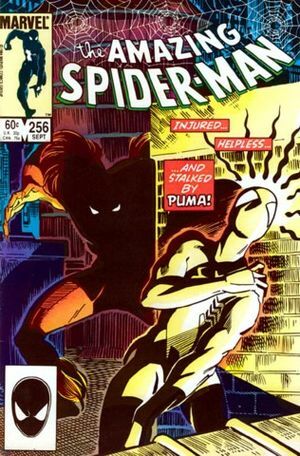 In conclusion, a character is introduced in a brief appearance in order to move a plot along (character was created to serve the plot), or as a “try-out” (maybe this character has potential for future issues), or as a “teaser” at the end of the comic to entice readers to buy the next issue. Characters who were introduced in teaser endings have included Apocalypse (X-Factor #5), Venom (Amazing Spider-Man #299), and of course, Wolverine (Incredible Hulk #180). 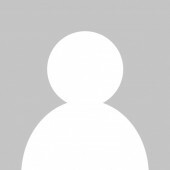 In closing, it is the writer’s decision about how to reveal a new character, and the way the character is introduced will decide if the issue is a first brief/cameo appearance, first full appearance, or just a regular first appearance. 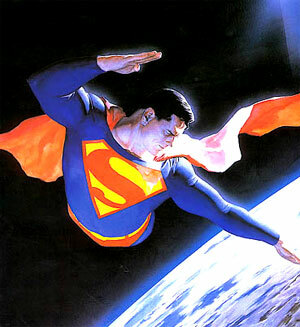 However, it is the fans that drive the market demand and value for these first appearance issues. Peter, what’s even much more perplexing is the enormous value gap of Detective 27 and Detective 33 !!! Great topic Peter. I’ve thrown this question out there myself but there doesn’t seem to be any rhyme or reason as to why this is. 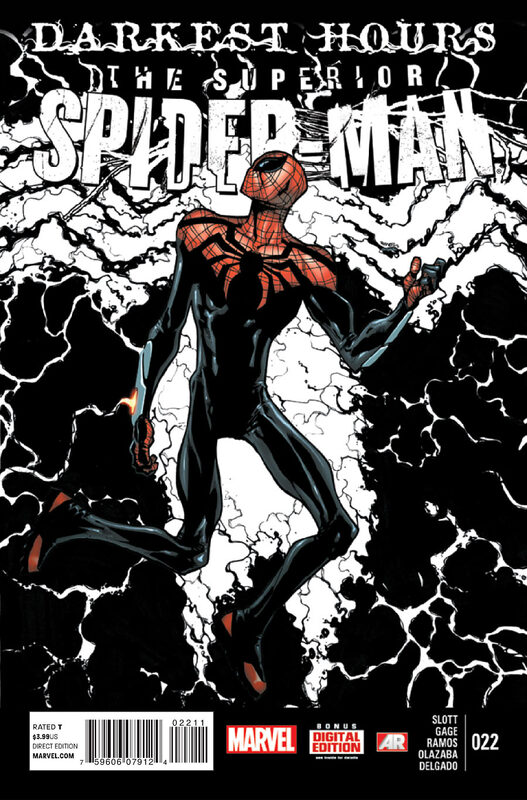 The best response I got was from Dakoit (http://comicbookspeculation.blogspot.ca/) who suggested it may be due to the cover design. In X-Men 282, Bishop is prominently featured, but in the follow up issue #283, he’s turned and off to the side. Sounds reasonable enough but even this rationale has exceptions because the opposite is true for X-Men #120 and #121. Alpha Flight lurking in the shadows is still valued more than their first full appearance where they are front and center battling the X-Men. Another weird thing I’ve noticed is that X-Men #94 is worth more then Giant Sized X-Men #1 (in varying degrees depending on the grade) but X#94 is neither a cameo or full… just a reboot. Both books seems to have leveled out somewhat but I found this perplexing. Perhaps you can argue dark cover vs white cover or print run, but do enough collectors know the circulation or print run of these books to influence their value? I can only conclude that it’s just all emotionally driven and it’s difficult to make sense out of it. At the very least, it make the game more interesting… I was pulling X#283 out of the dollar bins at one point but turns out I was betting on the wrong horse. Ha. Yes, there is no hard and fast rule to determine if the first brief appearance or the first full appearance become the more valuable of the two. It’s all in the hands of comic book fans and it can change with each new Overstreet edition. Currently, it looks like fans prefer X-Men #282 with Bishop facing us and the cover proclaiming to the world “His Name is Bishop”, more than the 283 cover with Bishop with his side towards us even though he’s in a dramatic confrontation with Storm. Yeah, X-Men #94 is a weird one: #94 and and Giant Size X-Men #1 are always worth about the same even though 94 comes after G.S. X-Men #1 and it’s not really a first appearance issue. It reminds me of Flash #105 (first issue of the Silver Age flash Series) and Showcase #4. Flash #105 was published a few years after the Showcase Flash issues but it’s worth a lot relative to the earlier Showcase issues. Interesting observation about X-Men 120 and 121. I’ll have to look at those again. Thanks for sharing, Charlie. Sometimes you have to look at the debut and follow-up issues holistically in determining which one might be more favorable in collectors’ minds. For example, Black Bolt appears briefly in Fantastic Four #45, but has an expanded role in Fantastic Four #46. However, FF#45 is more pricey than issue #46, but another big consideration is that the former also links all of the Inhumans members as a team for the first time. #45 also has a beautiful cover, which features the Inhumans in the background, while #46 features Black Bolt and the team much more prominently. I’m still hearing debates over Adam Warlock/Him’s debut as some people prefer the Thor issue. Yet the Fantastic Four issue is more pricey. #180 if undervalued in my opinion. I’ve got 180-182 in VF or better. Have to say 181 is the better book, but 180 should be worth more. That is the “first” appearance. Not 181. When X#94, CGC 9.8 was trading at $25k pre housing bubble, GSX#1, CGC 9.8 was trading under $15k which made no sense to me. Both books have been shot down since… check out the Pedigree Auction closing in a couple of days. Both books are listed in 9.8 and 9.4 grades. What about Marvel Premiere #1? Isn’t this the first appearance of Adam Warlock as “Adam Warlock”? FF#67 and Thor#165 are 1st appearances of “Him”, technically not Warlock yet, correct? In my opinion, ads predating #180 don’t count as actual appearances, but they are an interesting novelty and I’m sure there are collectors buying these. 180 was the actual first appearance though. For Mystique, Ms Marvel 16 vs 18…I found a $10 copy of 16 but we do not even see her face (behind a pair of binoculars), I was quite disappointed. I have not found a copy of 18 yet, does she appear with blue skin in that issue or what does the appearance consist of? Mystique appears with her trademark blue skin in #17 (2nd appearance, a cameo appearance), and also in #18 (3rd appearance, and also her first full appearance). Wow, huge price discrepency for these issues in high grade. Yeah, the dark cover on X-Men #94 has to be a factor in making it so expensive. If I could have only one of these, I would still take Giant Size X-Men #1 as it is the true first appearance. Great article Peter. ASM 299 has nice full body shot of Venom and seems undervalued compared to ASM 300. Adventure Comics 283 has 1st appearance of General Zod but it’s brief… up for debate, but some say first full app is Action 297 which is dirt cheap. Here’s another topic for discussion: continuity vs non-continuity appearances. 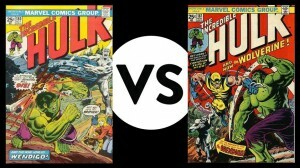 Is it better to invest in Marvel Preview 7 (1st true appearance of Rocket Raccoon) or Hulk 271 (1st marvel universe appearance). Or maybe the debate really comes down to Mag vs Comic… mags sometimes don’t hold their value as well. No. Don’t think so. Could be a market for that, but I don’t think I would buy into it. Yes, magazine vs. comic is an interesting question. The magazine first appearance seems to be the more valuable one (e.g. Rocket Raccoon in Marvel Preview #7), but there seems to be less collector interest in the magazine first appearance in comparison to the first comic book appearance. Awesome post (as well as comments) which really bring to light what values to place on 1st appearance vs first full appearance issues. Take Hellboy for example. When I see John Byrne’s Next Men # 21 (NM 9.2 Guide=$65) for sale on auctions, it seems as though sellers are claiming this to be the key 1st appearance while the Overstreet guide seems to place more emphasis (and value) on the San Diego Comic Con # 2 (NM 9.2 = $80). The SDCC issue is a little rarer to find in high grade too, which may impact the value as well I suppose. It just seems to be a little confusing when collectors and sellers seem to claim otherwise in many situations. And did ROM first appear in issue #1, or in every OTHER Marvel comic containing that full page ad (the one that narrates his arrival on Earth)?